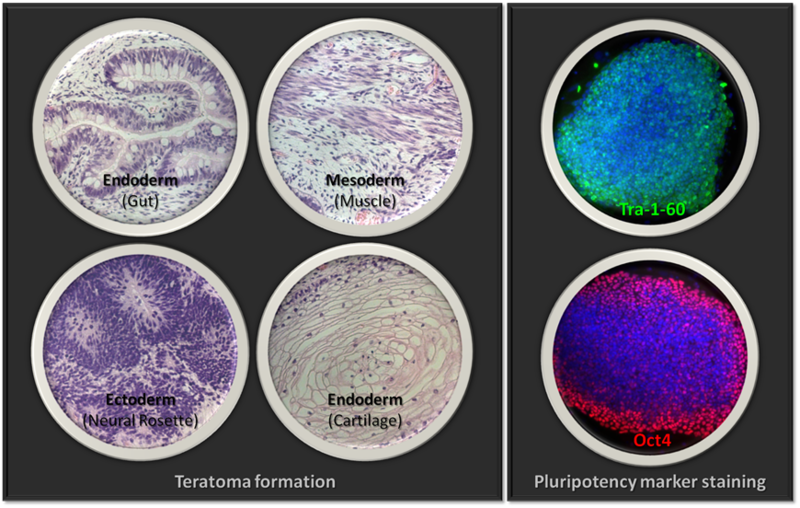 Patient-derived iPS cells are valuable tools for developing therapeutic drugs and disease modeling. Compared to primary culture, iPSC-derived cells have several advantages: (1) Amenable to genome editing/engineering; (2) Direct control over genetic diversity with the unlimited proliferation potential; (3) iPSC derived from peripheral blood or skin fibroblasts can be differentiated into certain cell types which are hard to collect directly from the donors, such as cardiomyocytes, cortical neurons, pancreatic beta cells, etc.. Our iPSC service team consists of the industry leading experts, and we are proud to provide feeder-free, footprint-free iPS cells with over 95% success rate. To order custom iPSC generation services, please complete the Questionnaire Form and send to orders@ixcellsbiotech.com. Our service will cover, but not limited to, the following steps: (You can add/remove the items and customize into an individual package. A quotation will be sent to you after evaluation). You will need to fill in the questionnaire (Link) form. Briefly you will need to provide the cells to be reprogrammed, the culture protocol if specified, and the validation methods if specified. For Fibroblast: Two vials of frozen cells or one T25 flask of live cell, or fresh tissue biopsy preserved in cell culture media less than 7 days. For PBMCs: Two vials of frozen PBMCs or 2-5ml fresh whole blood stored at 4C less than 4 days. Cells from us: We also provide a wide collection of primary cells for the customers to choose from. It takes 3-6 months depending on the recovery of the cells provided by the customer, cell type to be reprogrammed, and validation assays requested by the customer. We will ship 3 frozen vials of each clone to the customer. Live cultures are available upon requests. We will provide 1) the reprogramming method we used to generate the cell line; 2) the recovery and maintenance method after you receive the cells; 3) Cell recovery and live culture delivery if desired; 4) in-house training course if desired.